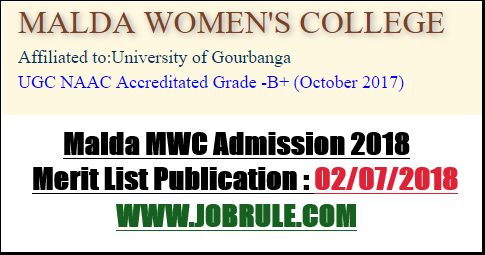 Malda Women’s College, is one of the best general degree college for Girls’ under UGB Malda, invites Online Application for Admission to Under Graduates B.A Honours/General Courses under CBCS Pattern for 2018-2019 academic session. Check Malda Women’s College Merit List 2018. 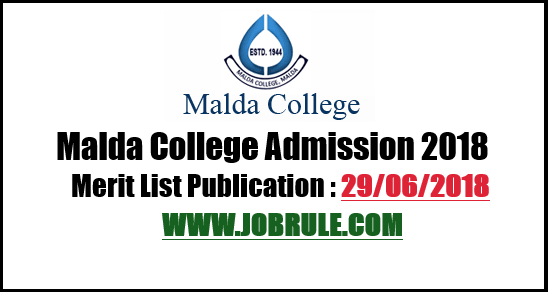 Malda College, One of the best general degree college under UGB Malda, Online Admission to Under Graduates B.A/B.Sc Honours/general programme Courses under new Choice Based Credit System (CBCS) Examination pattern and syllabus. 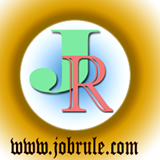 Check Malda College Provisional/Final Merit List 2018. 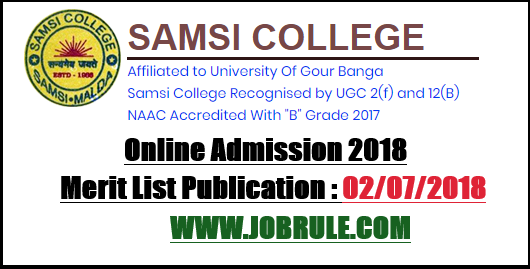 Samsi College, is one of the best general degree college under UGB Malda, invites Online Application for Admission to Under Graduates Honours/General Courses under new CBCS Syllabus for 2018-2019 academic session. Check Samsi College Provisional/Final Merit List 2018. Manikchak College, affiliated to university of Gour Banga (UGB) Malda, invites Online Application for Admission to Under Graduates (UG) Honours/General programme Courses under new Choice Based Credit System (CBCS) Syllabus for 2018-2019 academic session. Check Manikchak College Provisional Merit List 2018. Harishchandrapur College, Affiliated to UGB Malda, invites Online Application for Admission to under graduates Honours/General Courses under CBCS Pattern for 2018-2019 academic session. Download Harishchandrapur College Provisional/Final Merit List 2018. 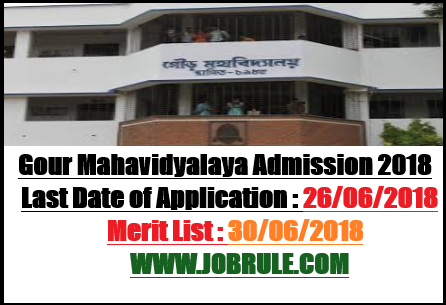 Gour Mahavidyalaya, affiliated to University of Gour Banga, (UGB Malda) , invites Online Application for Admission to Under Graduates (UG) Honours/General Programme Courses under New Choice Based Credit System 9CBCS) Examination Pattern. Check Gour College Provisional/Final Merit List 2018.